Videoconferencing continues to gain in popularity as a way to save both time and money, not to mention increase collaboration among a distributed workforce. Here’s how to make the most of the medium. 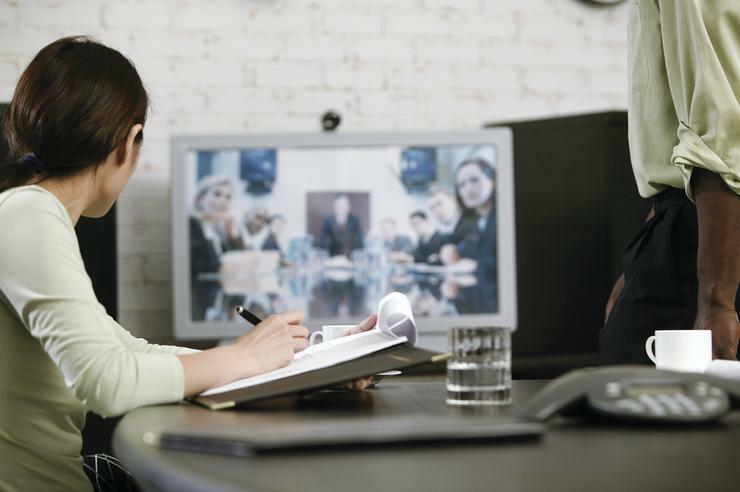 More than half (54 percent) of employees regularly take part in work-related videoconferences, but not all of them are eager participants, according to a recent report. In the survey of more than 230 full-time U.S. workers by West Unified Communications, 23 percent of the respondents said that videoconferencing makes them feel uncomfortable, and three-quarters said they still prefer audio to video. That unease is a major roadblock for many companies that are trying to adopt videoconferencing software and hardware and increase usage among their employees, Collins says. Millennials, perhaps unsurprisingly, are most comfortable with videoconferencing tools, according to the report. Of the millennials polled, 61 percent said they frequently use the technology, compared to just 44 percent of Gen Xers and 47 percent of baby boomers. The differences in how employees react to videoconferencing in the workplace aren’t just generational, nor do people’s videoconferencing fears revolve solely around their concerns about how others will judge their appearances, according to West’s report. Employees worry about everything from public speaking (a concern expressed by 42 percent of the women polled and 34 percent of the men) to the background setting (a preoccupation for 15 percent of the male respondents and 25 percent of the female respondents). Collins says both individuals and businesses can do things to ensure that people feel more comfortable — and more empowered — when using videoconferencing tools. Here’s a look at users’ top fears, plus tips for overcoming them. In addition to just hoping that you grow more comfortable with the idea of seeing yourself on-screen over the course of several videoconferences, concentrate on what you can change. For many people, it starts with wardrobe, Collins says. On the “no” list: stripes and busy patterns, which he says don’t translate well to video. Instead, go with solid, neutral colors. Style of dress may also be a concern — though, compared with their colleagues in the office, people who work from home are probably more likely to fret about what to wear. It’s not uncommon to multitask during conference calls — you might message others, check email or continue to work on the side. If you’re just on the phone, your fellow attendees likely won’t be aware of what you’re doing. But when you’re participating in a videoconference, your actions are on display. This might appear to be a disadvantage of video vis-a-vis audio, but Collins says it may make videoconferencing a better medium for a meeting. In the West survey, 92 percent of the baby boomers polled reported an increase in attentiveness on video calls, compared to 78 percent of Gen Xers and 68 percent of millennials. If you’re worried about how others might perceive you, it’s best to eliminate all distractions beforehand, Collins says. Log out of messaging apps, silence your phone and tune out email alerts. Three-quarters (76 percent) of the respondents said that distractions such as background noise or clutter in their colleagues’ home offices are major videoconferencing annoyances, according to West. If you’re logging on from home, consider staging your background. This means choosing a location that’s quiet, well-lit and free from clutter, Collins says. You should also consider the context of the call when choosing a background. If it’s a quick status update of an internal team of colleagues, your setting can be more relaxed. If it’s a call with a vendor, consider staging the background, Collins says. “And whether you’re logging on from your home or the office, make sure your window blinds are closed if it’s sunny,” he says. “You don’t want the camera to blast out from the background light, leaving you as a shadow. One-third of the men polled and 42 percent of the women reported that their fear of public speaking makes them uneasy during videoconferences, according to the report. As videoconferencing continues to grow more common, Collins says companies need to consider offering professional coaching to help employees overcome their fear of public speaking. However, just 23 percent of the respondents said they had received video etiquette training. If your company doesn’t offer training in public speaking, consider seeking it out on your own. And until you become more comfortable, remember that there should be no stigma attached to calling in over the phone instead of logging on with video, Collins says. Many people are plagued by technical concerns — the audio or video not working, or the software not connecting properly, for example. Collins says the best way to conquer this fear is to familiarize yourself with the technology by testing it beforehand. “Test the software, test the hardware, and test everything else, too,” he says. This includes performing a dry run to check on lighting, camera angles, audio quality and any other factors that could create distractions for fellow attendees.